Susan Beaudin knows about the power of a blanket. 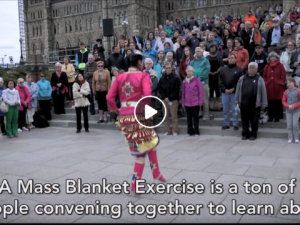 The educator from Cowessess First Nation is a residential school survivor. 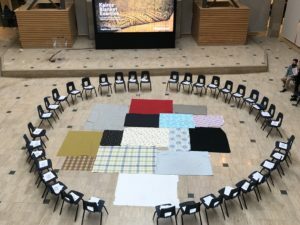 She is also the Kairos Blanket Exercise Coordinator for Saskatchewan. In her role, she travels to different communities, institutions, and workplaces teaching mostly non-indigenous people about the the shared history of Canada. Listen to the interview on The Afternoon Edition – Sask with Garth Materie which originally aired on June 22, 2018.